Tear up the icy landscape in the retro-styled Arctic Cat ProCross F 1100 50th Anniversary Snowmobile ($13,000). Powered by a turbo 4-stroke, 1056cc twin-cylinder engine that puts out an intense 177 horsepower, this beast features electric start, RMC brake system, deluxe digital/analog gauge (with speed, tach, odometer, trip meters, engine hour meter, clock, fuel level indicator, and altimeter), Arctic Race Suspension with Fox Float 2 shocks and sway bar, electronic push-button reverse, and vintage Arctic Cat 50th anniversary graphics. 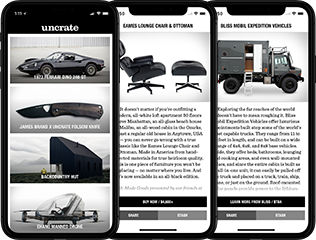 Also available in a special Uncrate colorway. 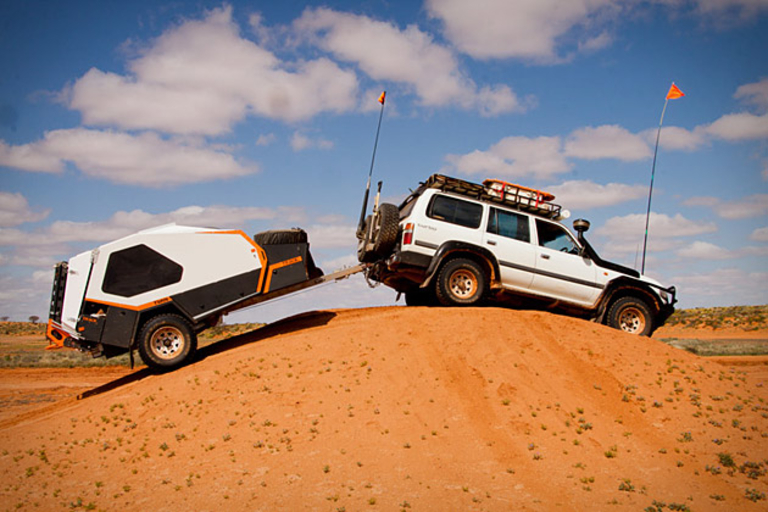 If your adventures take you too far off the beaten path for most tow-behind campers, perhaps its time to make the trek down under to check out a Track Tvan Camper Trailer ($35,000-$50,000). Available in four different models, each Tvan offers rugged riveted steel & aluminum construction, thick automotive seals and compression catches for dust- and water-free cabins and lockers, and customized suspensions to match your towing vehicle, fabric-lined roofs, checker plate decks, off road electric brakes, multiple 12V power outlets, firewood racks, and LED tail lights. All you need now is somewhere to go. The Swiss Army Knife of trailers? A godsend for adventurous small car owners? A bright green blemish on the vast wasteland of asphalt we call an Interstate system? You decide. The SylvanSport Go Camper Trailer ($8,000) is unique in its versatility, as it weighs only 840 lbs., yet can pack up to a dozen bikes, kayaks, two dirt bikes, an ATV, or whatever form of transportation you require, while still functioning as a camper, with insulated bed platforms, a self-inflating mattress, and a secure entry — everything you need to hold your own private X Games in the woods.